I love this stuff, it makes my heart go pitter patter. The prospect of yet one more niche website that will eventually make me $200-$500 a month with little to no work after it’s established, makes my wallet vibrate. That’s how much I love this stuff. Don’t get me wrong, I like blogging too, but when I can build a micro niche website, populate it and have it start making money the first month it’s live, that’s what I’m talking about. After that first month, that income grows almost exponentially each month. Ok ready? Got a pen and paper ready? First I go to Flippa.com and look in the just sold section. Flippa is THE place to buy and sell websites that either already make money, have the potential to make money, or to spy. I look for the highest selling sites, and what niche they’re in. I don’t like to get into niches that are going to take a lot of programming to build the site. I pretty much build each of my sites, myself. I’m not a programmer, I’m a hack, I know just enough PHP and HTML to get me through building a site without any help from anyone. When I find a site that sold for a large sum of money, I look at it. I ask why did it sell for a lot of money? Was it a hot niche? Was it a niche that people will always be looking to? Like pregnancy stuff, ladies will always be getting pregnant so start a niche review site on, breast pumps, right? Get my drift? Or 3d ultrasound images, or what to expect when expecting. Something like that. So once I find a niche site I like let’s take an example, go Here, and look for or search for bikecarrierdirect.com. This is a site that recently sold, and for a mere $65K. Let’s look at the site itself, it’s a bicycle rack sales website. People are Always looking for bike racks, for the family, for the mountain biker, for the traveler who likes to ride his bike in other places, etc. So this is a niche I would exploit. I’m interested enough in Bike Racks that I could put up reviews and drive traffic to a micro niche review site, and earn affiliate sales. That site, sold for $65K because of the established site, Page Rank, and the income and profit numbers. The person who bought this is probably going to use it to make more money, or even flip it eventually, for a profit. If the site makes 3K in profit each month, in 21 months it will have paid for itself, and started to generate profit income for the new owner. The search terms are the hot words(high ranking) used by people who are looking to buy or are only just researching. People who are looking to buy a bike rack, are sometimes looking for reviews before they buy. Remember this. Another type of person searching for bike racks, is someone who is looking for a deal. Remember this. And the next person is someone who is ready to buy. Remember this. One thing I do before I commit to buying a domain name, is I look at the SERPs for that keyword phrase. If there’s not many other sites that are ranking high, except e-commerce stores, or Amazon.com or some other big company name, then I will pretty much buy the domain right off that I had researched. If you look at the SERPs, and you see one or two sites pop up that are either review sites or someone else’s affiliate site or something like that, look at the page rank of that site. If the PR is less than 3 that’s great, you’ll rank high pretty quick. If there’s other sites like shopping sites like Amazon.com or bizrate or some other review site like that, then chances are you will also rank very quickly, because Google will be hungry for a site that it can index, instead of an e-commerce type site. If you Google Bike Rack, the results are large chain type stores, e-commerce sites and one or two “Small guy” websites. This is going to be an easy rank and money maker. Go to Godaddy.Com, and start searching for domains using only the keywords you found, using Google’s External Keyword Tool. The keywords I used for my search were “bike rack”. That’s a really good search term for someone looking for bike racks. I prefer only singular domain names instead of pluralized domain names, Bike Rack instead of Bike Racks. Bike racks has a high search volume so it’s safe to say, bike rack does too. I see that bikerack.com is already taken so I am going to try bikerackHQ.com, for “Bike Rack Headquarters”(Thanks Glen Allsopp). Great, bikerackHQ.com is not taken so I am going to register it myself and use it for a micro niche website. My preference for domain names is to get the .com domain name for a high ranking keyword or phrase that people use for searching. When someone types in “bike rack” into the search engine, the first places to pop up are usually the domain with those exact keywords, IF, there’s a site on that domain. 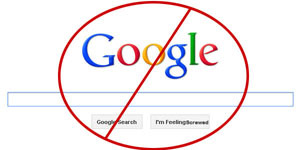 If not then that domain will not show up or if it’s squatted on by a domainer, then it will show up later in the SERPs. I try not to use Hyphens(-), but I will do a .net, if the exact keyphrase is available in .net and not .com. I rarely do a .org, unless I feel it could be a viable possibility that I could rank high and make some serious cash from the site. I never do .info’s. When I decide to go for a niche that I think will be profitable, I will use WordPress to build a review site. Basically a site that I go out and find the products I want to feature, and either re-write reviews I have found or write my own. Usually the former. It’s easy to copy a review, and then re-word it and then use it as a post. Re-writing a review will not get you pinched for duplicate content on the web. I will include images of the product, and videos if there are any. This is also a great way of getting people on the site and getting them into the buying mode. I also include Affiliate Links to the product on a site that sells the product listed. Once the customer goes to the site, an “Affiliate Cookie” is set. What this is, is a small piece of information put onto the customers computer, which says “If this person buys a product, this affiliate get’s the commission”. Cookies last anywhere from one day to several months or forever. Amazon.com’s cookies last only one day, but they are a great place to push people as they have a great up sell technique. They just show you more things to buy which catches peoples eye, and they usually buy. The bigger the sale the bigger the commission. I prefer to be ranking in Google before I start putting affiliate links up, but sometimes I don’t wait, sometimes I just go with it and start “stocking the shelves”. Finding affiliates is easy, just google the phrase you are trying to rank for and look at the results and see if any of the competition have affiliate programs. If so, apply and use them if they fit what you want for your commission. If you can’t find anyone who sells the product you are “reviewing”, then there’s always Amazon.com. Amazon.com doesn’t pay much, only 6% to start but it moves up the move products you sell and it does add up. The higher the sale, the higher the commission. Currently I have a few sites that are making $300-400 a month, on just Amazon.com alone. Who wants to turn down a small chunk of pocket change like that? Not me. I use certain plugin’s in WordPress, like Sociable, Social bookmarking plugin. 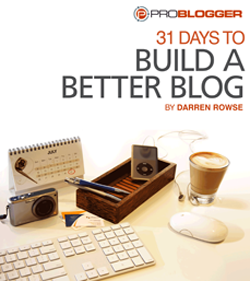 How I use this is after I have a few posts with reviews on my new site written, I then go and start bookmarking then. I don’t them all at once, I start out with one post every other day, sometimes everyday if I am impatient, but not all at once. I will bookmark in Stumbleupon, The Digg, The Reddit, then Delicious. I will also go find a couple blogs on the same or similar topic and do a couple comments. The chances that Google will be hitting one or all of these sites, in the same day you book mark them, is good, and Google will index you faster. I’ve had sites indexed and ranking on the front page of Google in one day! I’ve had new posts index in Google in less than two hours on some sites that were already indexed. At the time of this writing, I had put up a new Micro Niche Website about 3 days ago. 2 Days ago I posted 2 reviews, and socially bookmarked them. Yesterday I Googled my keyword phrase and I was already #4 on the first page of Google. That’s the power of 1) a good domain name, 2) lack of competition in an under served niche, 3) social bookmarking, and 4) this knowledge of how I do this. I’m also ranking above the big name companies who sell the product I am “reviewing”. Step 7, Article Marketing, and why. I have a micro niche site that discusses kindle covers, and it ranks very high at this time, usually the #1,2 or 3 position on page one in Google. I had a post a while back about the Google Dance, in which the site would be high in Google for 2+ weeks or more, then it would fall back to page 2-3 or even sometimes page 4, in Google. I called it the Google dance, because Google was dancing me around in the SERPs, and it bothered me, a lot. I would post a review and a day or two later I would be back on top again for a few more weeks, and then it would happen again. Very annoying. It wasn’t until I started posting articles on a few article directories, creating back links to the site, that my ranking stabilized, and now I stay on top, all the time. I’m on top now, in fact #1 for a certain keyword phrase, and I’m even higher than my competition who used to rank higher than me for the same phrase! Adding article marketing to your strategy of ranking high will definitely help with keeping you high in the SERPs, as Google see’s this as you must be important, since you have back links pointing to you. You can either write the articles yourself, or hire someone to write them for you, just make sure they pass Copyscapes tests for duplicate content on the web. Once you have the site indexed and ranking high, all you really need to do is put in some good content. Give people stuff to read and pictures to look at and review the product they are looking to buy. I use a combination of Google Adsense and Amazon.com affiliate sales to bring in the money on my sites. Most of the money however is from Amazon.com, because people are there to buy products. occasionally if there’s a looky loo on the site they might get distracted by a Google Ad and click on it. 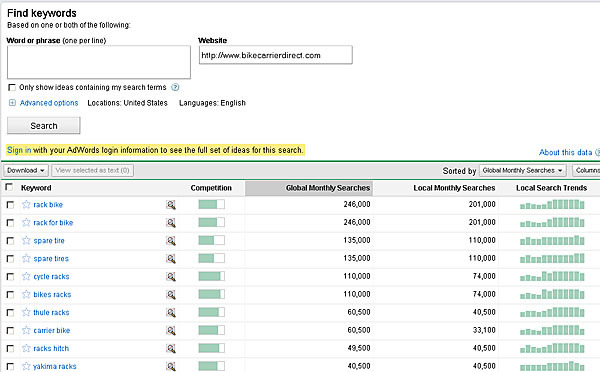 If there’s heavy competition for that keyword phrase in Google Adwords, I will get some cash that way too. Usually I have found that once the site is ranking in Google, I can easily start making money in the first month of inception. This money usually starts to grow month after month, once the site is indexed, especially if you are putting up good content and are consistent in your posts. Good content, pretty pictures and good affiliate links make money. I stumbled onto this formula when I was in a blog flipping list. I was learning the ins and outs of blog flipping and one person said they had just sold their blog for $1850. I was impressed, it was right before Christmas of 2009 and it was another shiny object for me to get distracted on. So I watched some more of the websites being flipped and then I saw the same site listed and sold again, for $16,000, just 4 months later! I was floored that this site that sold for almost 2K, sold again for 16K 4 months later. So I went and looked at the sales page and they had listed the keywords they ranked for, and I also did my domain keyword search listed above in Step #2. The keywords I found were different than what they listed so I went and looked in Godaddy for available domains. I was excited to find the keyword phrase I found was not taken and I immediately registered it. This site now ranks highest in Google for that phrase, and higher(obviously) than the site I mentioned on Flippa. I had beaten the competition in it’s own back yard and this site now makes me about $400 a month with organic, free traffic. These niche site are also great to use for flipping when you get bored with them and making you another chuck of money. They sell at a higher rate if they are already established and making monthly income. People are willing to pay many times more than the monthly income for the site, if they think it will make it back and then some. Overall it’s fairly easy to spy on your competition and find profitable niches to make money from. If you want to try your hand at micro niche websites, then try following my formula, and let me know how it works for you. Jedi Master, you have shown your true skills! Hey Dan, thanks a bunch. How’s biz? Where you at now? back in the orient or? Great information. I am in the process of “spying” on you, Pat Flynn, and others as I am learning the ropes. Never thought about the Flippa angle for keyword ideas. I see you prefer adding HQ or something similiar to get the .com, but what are your thoughts on some of the others in particular .me, .us, or .co? Enjoying digging through your past posts and gathering more knowledge on niche site building. Thanks for your effort and willingness to share your what you have learned. I don’t use anything other than .com and .net. Maybe, on an off chance I might use a .org, but only when the moon is blue. The HQ in the url is only because the exact domain name for the keyword phrase may not be available, that’s all, if bikerack.com was available I would have registered that instead of bikerackHQ.com. Pat Flynn has a podcast with Glen Allsopp who is a great niche marketer, and he talks about the other extensions in more detail. the just don’t get the weight thata .com or .net does. I’ve been writing a small ebook called “Knock It Off!” which goes into ideas like this – so much info out there on the web that you can essentially find anything on your competition and when you leverage your own skills you can really dominate them in their own game. .-= Murlu´s last blog ..5 Ridiculous Myths You Actually Believe About Blogging =-. I am now learning how to make money with my blog online, earning about 100$/ a month makes me addicted LOL. So your post is definitely useful for me to learn this stuff, especially flipping sites in flippa. Never done that, but i notice people sell sites with crazy prices there. Thanks for the good explanations and screenshots. .-= Kimi´s last blog ..Free Thesis 18 Skins WordPress =-. Addicted? hahaha you have no idea! once my income started getting over $300 a month it went up from there super fast. It starts to grow exponentially. Keep it up and you’ll be making more money than you have in the pass pretty effortlessly. .-= Kimi´s last blog ..When Will Adsense Pay -Sign Notification =-. I love this thought process and logic behind getting into solid niches for new websites. Just read this post and went to see your site for the racks and IT’S GONE!! did it not work out?